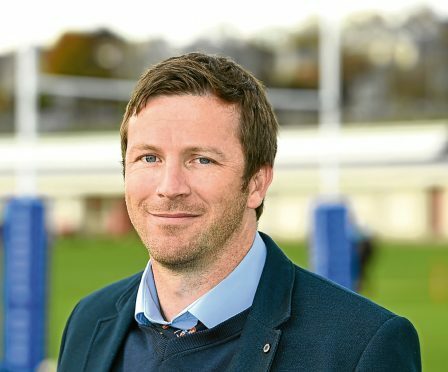 They may be the most entertaining team in National 1 to watch at present, but Aberdeen Grammar head coach Ali O’Connor is hoping his side can show their ruthless side this weekend after successive narrow defeats. The Rubislaw men have been in three high-scoring contests in a row, with a 46-33 win at Kelso followed by a 28-26 reverse at Selkirk before Saturday’s 47-37 home defeat against Marr. O’Connor’s side have earned plenty of plaudits for their expansive style but the Grammar head coach knows eradicating their defensive lapses is what will help them move up the table. The Aberdeen side are sixth in National 1 ahead of this weekend’s trip to Glasgow to take on GHA. O’Connor said: “We have been involved in a lot of high-scoring games recently but ended up on the wrong side of the result. “It has been quite disappointing recently in terms of results, but the team played pretty well on Saturday. “We knew there were things we had to work on ahead of that match, such as looking after the ball a bit better, and I felt we did that but we just came up against a very good Marr team. “We are happy with the style of rugby we are playing. “The second team is playing in the same style. It is an entertaining style of rugby and it means that any players who come up from the second team to the first or vice-versa knows what the strategy is. O’Connor has a selection headache for this weekend’s match at Braidholm Road with several first-team players unavailable for selection. The Grammar head coach said: “We are missing a few players because of a stag party in Manchester this weekend. “But we are happy that we have got some depth coming in behind to see us through against GHA. “It is Ross Anderson’s stag so he is unavailable. “Tom Aplin and Jordan Robertson, who has been playing in the front row this year and has been outstanding recently, are also away. O’Connor, meanwhile, admits he was surprised by GHA’s 36-31 defeat at bottom-of-the-table Kelso last weekend. The Borders side had lost all five of their opening games in National 1 before their shock win against third-placed GHA. The Grammar coach said: “GHA have been playing really well and sitting near the top of the league. “We were surprised they lost against Kelso at the weekend. “Kelso aren’t a bad team but the table would have suggested that GHA should have won that one. “That was a strange result on a weekend of strange results,” he added. “We have watched the video of them and identified how we want to play against them. “It is probably going to be another high-scoring game as both teams like to attack. Elsewhere in National 1 this weekend Marr travel to Selkirk, Dundee HSFP host Jed-Forest, Musselburgh host Cartha Queen’s Park, and Gala take on Kelso.